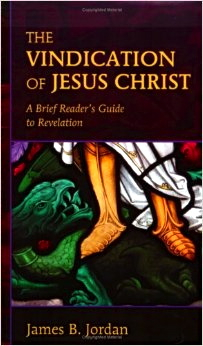 This is the best book I could recommend on Revelation. It is short and simple, but it may be confusing to anyone who is unfamiliar with eschatology and Jordan’s point of view on it. Basically, Jordan teaches that Revelation describes events that happened in the first century, between AD 30 and AD 70. The climactic judgement/visitation of Jesus on the Jews happened in AD 70 with the destruction of the temple and Jerusalem which was also the end of the old world creation. We are now living in the new creation. Jordan focuses on the symbols of Revelation and how they all come from the Old Testament. For example, 666 comes straight out of the book of 1 Kings. Jordan also points out how the old creation was governed by angels, while the new is governed by the Church. Jordan gave a series of lectures on Revelation which consists of 204 lectures and a 300+ page notebook. It can be found here.